The Chicago Monogram Design Center (MDC) offered our first official Designer Training Session on August 10-12. 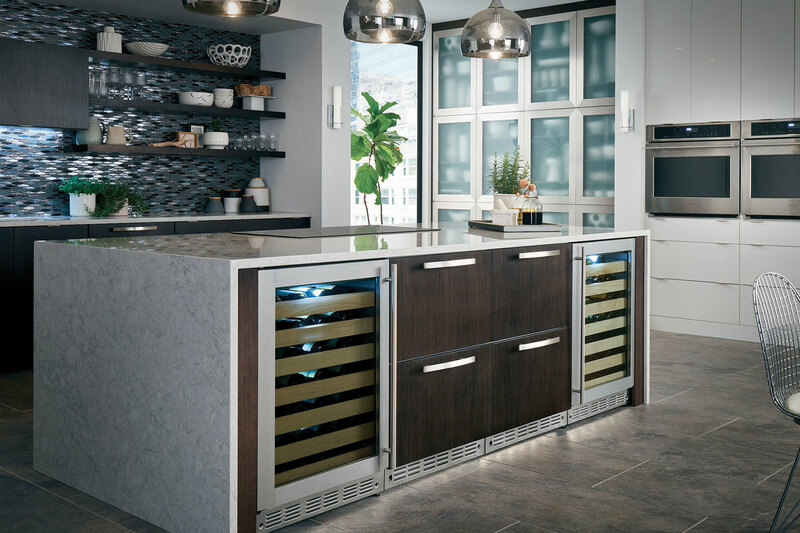 A dozen Chicago area designers were invited to the three-day Monogram appliance training session, where they gained in-depth knowledge of all the available products in cooking, refrigeration, ventilation and cleaning. The designers also participated in, and received credits for, three CEU courses covering What’s Hot in Cooking, What’s Cool in Refrigeration, and How to use Social Media to Grow Your Business. Chef Jon demonstrated all the appliances and the designers partnered up in teams to cook three meals which the whole group shared. There was a lot of team bonding during Merchandise Mart events, a candlelight chef’s table dinner with Chef Jon in our showroom, and a great stay at Aloft in downtown Chicago. 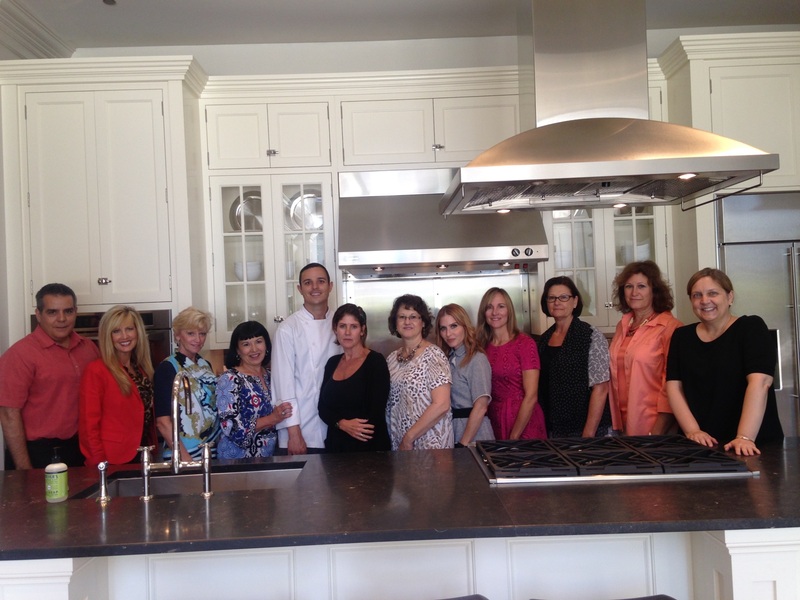 Our inaugural group of Chicago area designers who attended the first session, along with Chef Jon, Alex Skobel, Jo Ann Ginger, and Sheri Gold from the Monogram Design Center. Of the tasty and gorgeous lunch dishes created during the session by one group of designers. 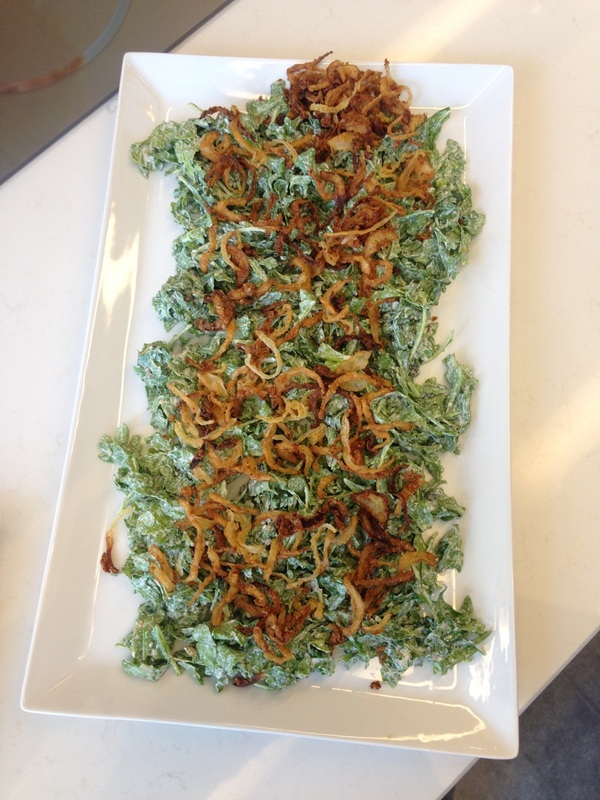 It’s called the Sherry Caper Salad with gluten free fried onions.